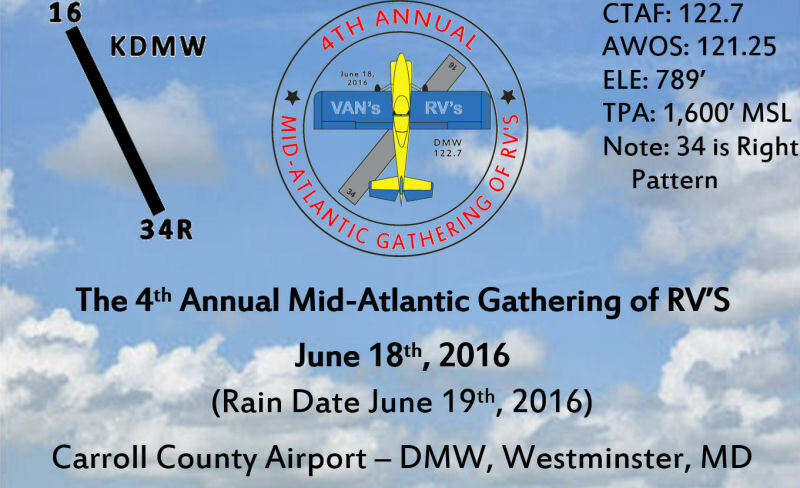 For the fourth consecutive year, EAA Chapter 1384 is sponsoring the Mid-Atlantic Gathering of RV’s at the Carroll County Regional Airport (KDMW – Westminster, MD) on Saturday, June 18th (Rain Date – Sunday, June 19th). The event will start at 0930 and go until 1500. Posted in 4th Mid-Atlantic Gathering of RVs (2016), Fly-ins, Mid-Atlantic Gathering of RVs.